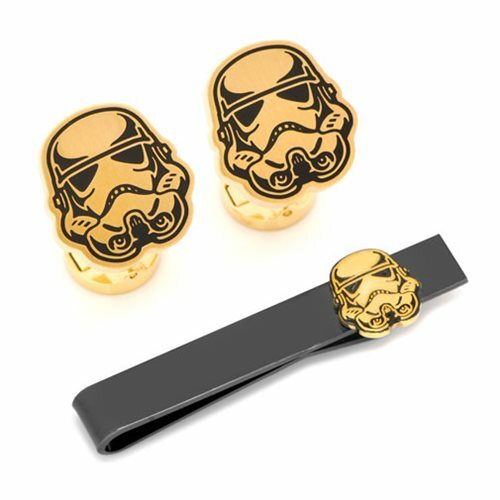 Add some swagger to your outfit while displaying your Star Wars fandom with this Star Wars Stormtrooper Cufflinks and Tie Bar Set. This set includes a pair of cuff links and a tie bar. This set is the perfect addition to anyone looking for a unique outfit accessory. The cufflinks have a round swivel logo closure.